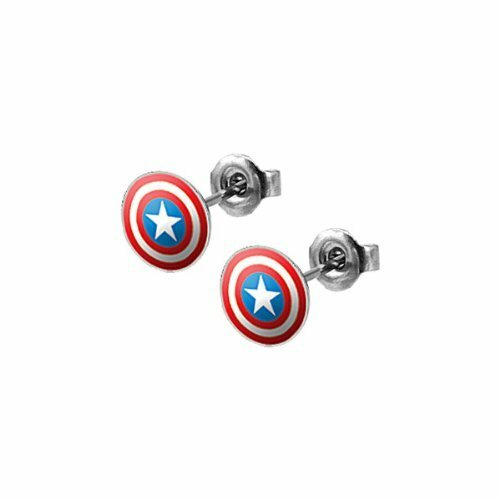 Captain America is America's most beloved hero on the Marvel Captain America Shield Flag T-Shirt. 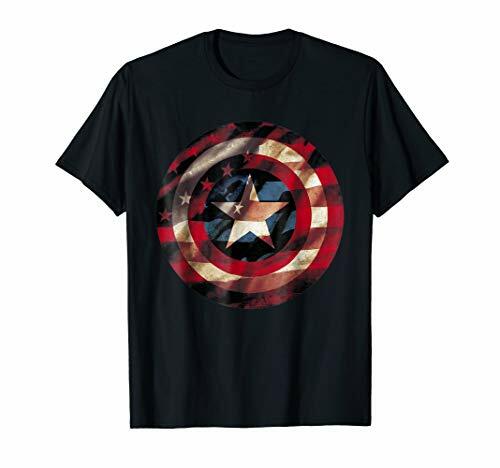 A patriotic style Captain America shirt displays the stars and stripes in the reflection of the iconic shield. 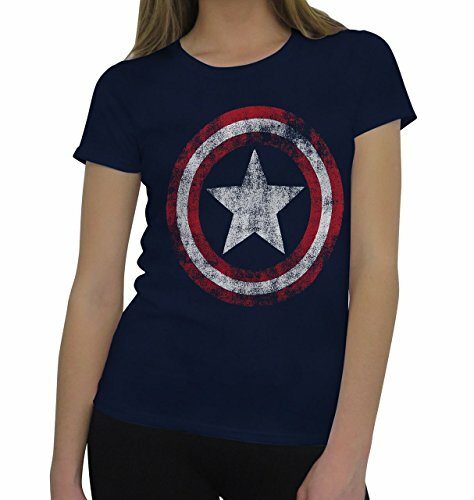 The Captain America Juniors Distressed Symbol T-Shirt is a navy blue, juniors-cut, woman's t-shirt featuring a purposely distressed Captain America Shield Symbol. 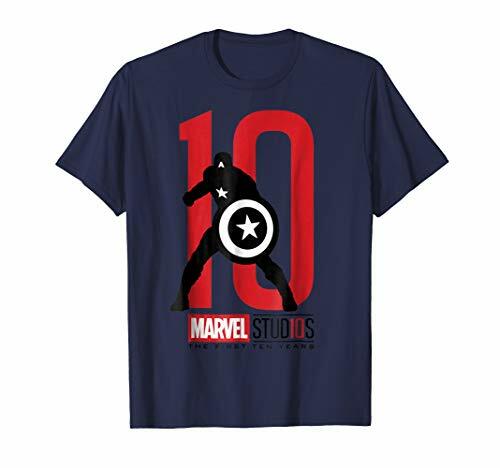 Celebrate The First Ten Years of The Marvel Cinematic Universe with this collection of all new tee shirts, sweatshirts, and hoodies. Are you ready to prove you're More Than A Fan?